Themistocles, Xerxes, and Artemisia face off in this beautiful character trilogy FilmCell. 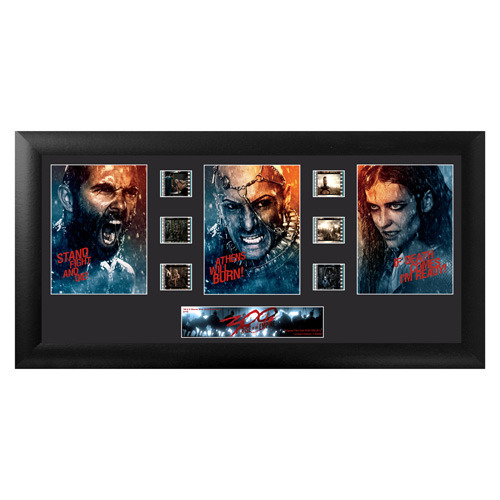 Now you can bring home this incredible collector's item; limited edition of 2,500; featuring two strips of real movie film from 300: Rise of an Empire. 20-inch x 11-inch black MDF frame. Real John Wayne movie film!